AW Plumbers are qualified to work on and install all types of domestic vented and unvented hot water and heating systems. This includes traditional stored water systems, Combination Boilers and High Efficiency Condensing boilers. Your choice of boiler depends on where it’s being installed. We offer a completely FREE boiler installation quotation service and our prices are very competitive so we supply and fit the specific machine that is best suited to your individual requirements. Your choice of boiler depends on where it’s being installed. Different sized properties all have different needs and suit different boilers. By replacing your boiler with a higher efficiency condensing boiler you will not only save on fuel bills but you’ll also be doing your bit for the environment and reducing your home’s annual carbon footprint. We can guide you through the choice of different products and systems available on the market at the moment to suit you. Below is a basic guide to the different types of boilers that are available; there are two main types of condensing boilers – Combination & Conventional. Combination boilers, as the name suggests, combine most of the components of a conventional system i.e. boiler, cylinder, pump, control valves and thermostats. Together, these are housed in one unit (The Combi).The technology involved with this type of boiler has improved at a dramatic rate over the last five years. Where, not so long ago, a combi would only produce nine litres of hot water per minute at 35°. Nowadays they can produce up to eighteen litres a minute at 35°. 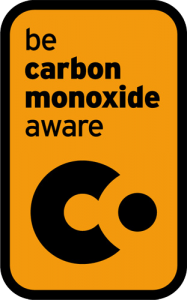 This is why they now account for most new boilers found in the UK today. Saves money by only heating the water when you need it. Saves space as you don’t need a separate hot water cylinder. They’re not good for properties with low water pressure. They’re not so good if you’ve got more than one bath or shower room. A Conventional system (as opposed to a combi-system) is one where a cold water storage tank, a hot water storage cylinder, a heat only boiler and separate controls are installed to provide primarily a greater volume of hot water. Basically, your boiler is more efficient, and yet you pay less on your bills. This is because you burn less gas producing heat and hot water. Plus there’s a host of advanced features and excellent aftercare to ensure you get the very best from your installation. With the 21st Century technology comes 21st Century styling. The boilers blend beautifully with all modern appliances in even the most luxurious of kitchens. In fact, with these modern streamlined machines, flexibility is key. So while they’re often fitted in the kitchen, you can actually install them in a place that suits your home: the airing cupboard, garage, loft or cellar. 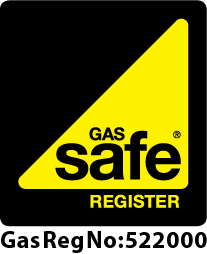 As Gas Safe registered engineers, AW Plumbing are qualified to advise you where the best place is to install your new boiler. So reduce your fuel bills and bring your home up to date with a new energy saving heating system.